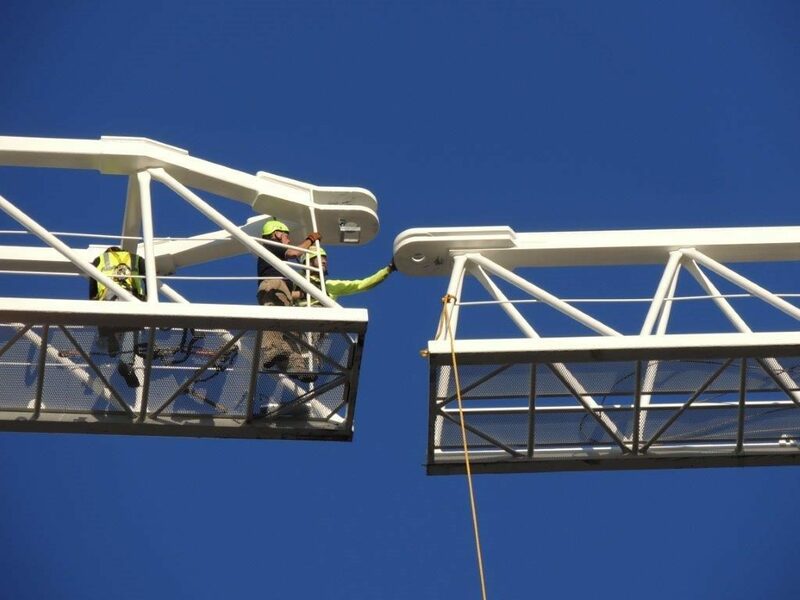 ENG CRANES is an Italian company based in Reggio Emilia with a branch the US in San Francisco, California. What sets us apart from the other market’s leaders is our versatility of being both a designer and a manufacturer of tower cranes and winches not just for our own products but for anyone who wants their own crane or winch. We are more than happy to help you in the designing and manufacturing process! After adding the luffer ETL 253 and the flat top ETT 791 to our range last year our most important projects for 2019 are the revolutionary EDL 120 – 10 tons which has an hydraulic luffing jib with automatic gear that can turn the crane into a flat top mode so that it can be used both as a luffer and a tower crane and with the patented counter jib of only 4,50 meters of slewing radius allows for it to be installed where other cranes with the same capacity cannot. And also our DERRICK EDKH 185 – 25 tons of maximum load which is the first derrick with this capacity that has a slewing radius of 360°. Our technical department is always working to improve our machines with the latest technology and innovation and is also of course available for any need our customers may have.